Alto Productions are producing a short film about Award-winning visual artist, Troy Argyros. Mr Argyros has been selected from worldwide applicants to partake in a specialist course at Florence Academy of ;The promotional film will be screened on websites, social media and at an art exhibition,as part of a crowd funding campaign to raise his academy fees. The composer is be required to write a soundtrack for a film of approximately2 minutes with sound design input from myself. As there is an Italian theme to the narrative arc, the use of mandolin would be favourable, but not essential.The intention of the music is to rhythmically drive a very accelerating pulse towards the climax of the film (which visually will feature a sunrise). A rough cut is due for early - mid April.The composer must be available during 2nd week of April to compose & produce the soundtrack. They must have access to equipment to produce their ;It is expected that all will be produced as an electronic soundtrack, excluding the possibility of a live mandolinist. Creative team welcome ideas from the composer. 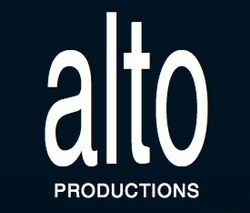 Alto Productions is a multi-faceted entertainment company. Commencing in 1996 with live music performance focus, the company has expanded to produce live theatrical music based shows that have toured nationally, and a TV series. Improve your chance to get this job. Do an online course on Media, Creative and Design starting now. Hi Sophie, Reach more people by sharing this job with your network. Get updates on latest Design & Creative Jobs in Australia - Melbourne.